Microsoft is investigating how copies of next month's Halo 3: ODST went up for sale at a French retail store, officials told Kotaku. 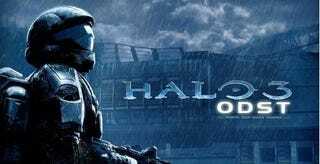 "We are investigating a very small breach in our distribution process around the early delivery of ‘Halo 3: ODST' units," a Microsoft spokesman told Kotaku. "We are also investigating Xbox LIVE accounts that show activity related to ‘Halo 3: ODST' and will take action against those we believe have procured copies of the game illegitimately. We have nothing further to share at this time." Microsoft declined to comment on what "take action against" means exactly and whether they consider buying a copy from a store a form of obtaining the game illegitimately. Fan site Halo.Bungie.Org reported yesterday that Microsoft France issues a statement saying that players would be banned from LIVE for playing ODST early. Microsoft declined to respond specifically to questions about that. UPDATE: Microsoft finally responded to the direct questions about banning on Twitter.